When that clock radio has gone off on a dark Monday morning with an announcement that two feet of snow has fallen in Calgary overnight, you might get the sudden urge to call Mirage Landscaping and try to get us to fit you in. After all, we’ll already be out there working hard to clear snow from the businesses that we serve. If you have been on the fence about whether to contract for commercial snow removal by the professionals of Mirage Landscaping of Calgary, here are five quick reasons why you should have your contract in place before you find yourself scrambling for help after a snowstorm. We have been clearing Calgary of snow for over three generations now. We don’t make excuses and we don’t leave you on hold when your business needs to be cleared the same day the snow stops. As you may know, Calgary has very strict bylaws on keeping your publicly accessible property and adjacent walks free of snow and ice following significant snowfalls. 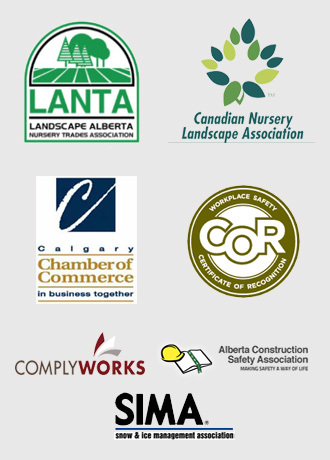 At Mirage Landscaping of Calgary, we get out there and get the job done well before the authorities or your neighbours or customers would have any cause to complain. You don’t have time to be nursing a bruised tailbone, or worse, endure a lawsuit from someone who slipped and fell at your business. At Mirage Landscaping of Calgary, we are fully insured against third party liability in case someone tries to go after your own insurance in the event of an accident. More importantly, your contract with us provides proof positive that you were taking proactive and concrete steps to manage snow and ice around business. 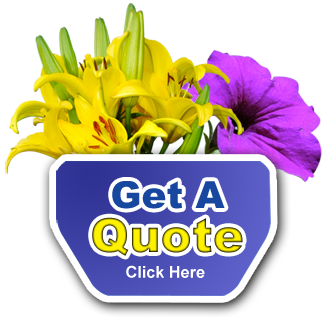 It is unlikely you will ever need to show that contract in the midst of a lawsuit because Mirage Landscaping is thoroughly dedicated to keeping you out of any such trouble in the first place. Our reputation rides with us on every snow removal job—and we perform like it. Look at the prospect of clearing your walks, then your driveway, just to get to your business and clear your parking lot and your walks there too. Then think of the peace of mind that comes with outsourcing. Mirage brings as many pieces of equipment and crew members as it takes to get your job done correctly and rapidly. We have all seen it in winters past, that seemingly impossibly high parking lot snow tribute to the great pyramids. Endlessly stacking snow creates the distinct dangers of pile collapse and of Chinooks melting it down a bit only to create black ice all over your parking lot during the next cold snap. There are some winters when snow has to be hauled away to keep everyone safe on your premises. Mirage Landscaping of Calgary has the ability and professionalism to haul away ton after ton of snow if that is what it takes to serve our clients to the fullest extent possible. The world seems supernaturally silent and still following a major snowstorm. Oftentimes, criminals will take the opportunity to be out while everyone else is warm at home. However, Mirage Landscaping will be out there. We will know your commercial property and will see if something is amiss. By clearing the snow from your business fast, criminals take notice that someone will observe and report suspicious activity. Cleared walks and lots also make it easier for a police patrol to drive by your commercial property to check on things. There is a world of difference between highly professional snow removal and something less, so ask lots of questions before hiring a contractor. Contact Mirage Landscaping of Calgary for a free snow removal quote. You’ll never want to do without our snow removal services again.